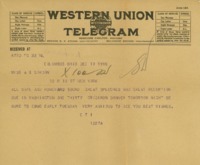 Date is exactly "1915 December 10"
Cary T. Grayson has selected a wedding gift for Edith Bolling Galt and Woodrow Wilson. Cary T. Grayson reports that President Woodrow Wilson has made great speeches that were received well on his speaking tour. 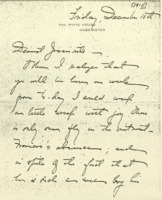 Helen writes to Jessie about plans for Woodrow Wilson and Edith Bolling’s wedding.